Dictionary.com defines “interior” as “being within; inside of anything; internal; inner; further toward a center.” But where is your personal interior? Your kitchen in the early morning light? The cozy look of your home when you go outdoors to gaze back through the windows after dark? Or, perhaps the emotions and secrets hidden in your private interior? This March, the artists of the Loading Dock Gallery at Western Avenue Studios in Lowell explore and interpret these themes in Interiors. The show features artwork in a variety of mediums, both traditional and contemporary, by over 20 artists. Nan Hockenbury’s painting “Adolescence” uses symbols of love, sexuality, and physical and emotional changes to express the interior struggles inherent to the journey to adulthood. The flesh tone hues accented with reds and oranges gives an organic, emotional feel to the piece. 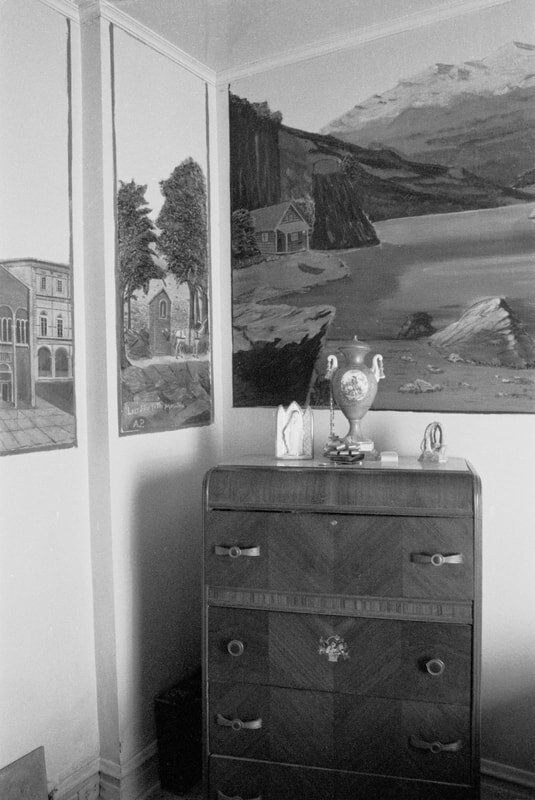 “Rosa’s Room” depicts the bedroom of octogenarian Rosa Piacenza, a personal friend of photographer Deb Arsenault. The atmosphere in the image evokes an eerie feeling of past moments lost forever. The position of the single bed conveys a coffin-like loneliness coupled with the natural misty light giving the sense of peace, quiet, and tranquility. Please join us for a reception for the artists on Saturday, March 3rd, 2018 from 5 to 7 PM, following Western Avenue Open Studios from Noon to 5. The Loading Dock Gallery, a part of Loading Dock Arts, Inc., a 501c3, is open Wednesday through Saturday from Noon to 5:30 PM, and Sunday from Noon to 4 PM.